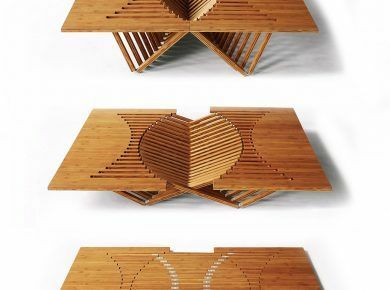 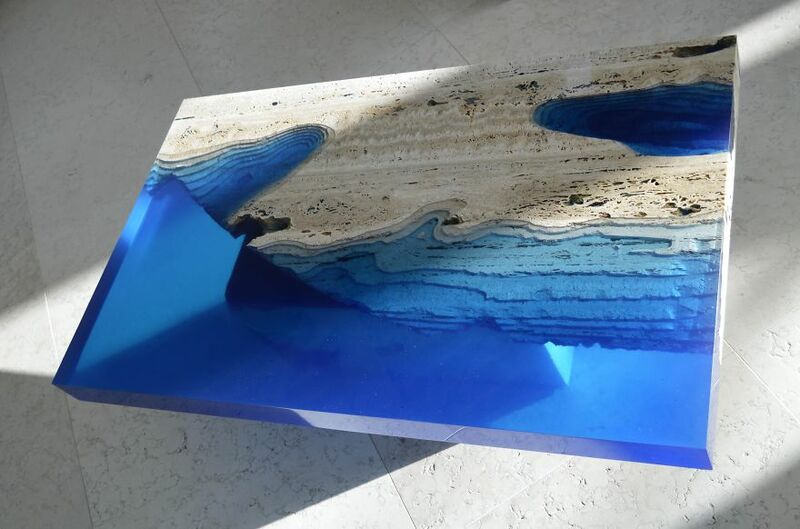 Designer Alexandre Chapelin of LA Table designed this intriguing series of three tables he refers to as Lagoon Tables. 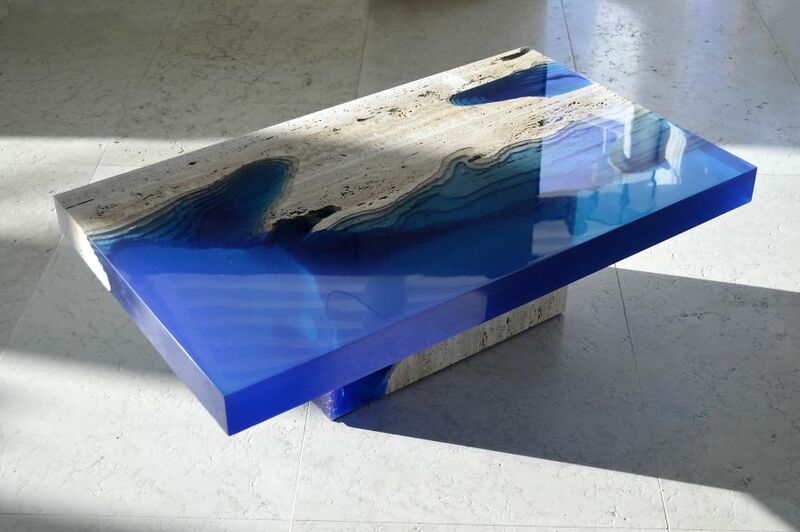 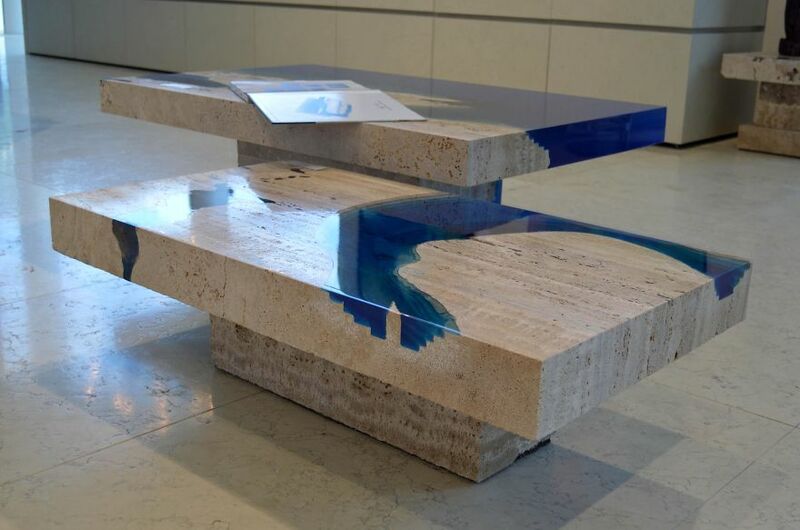 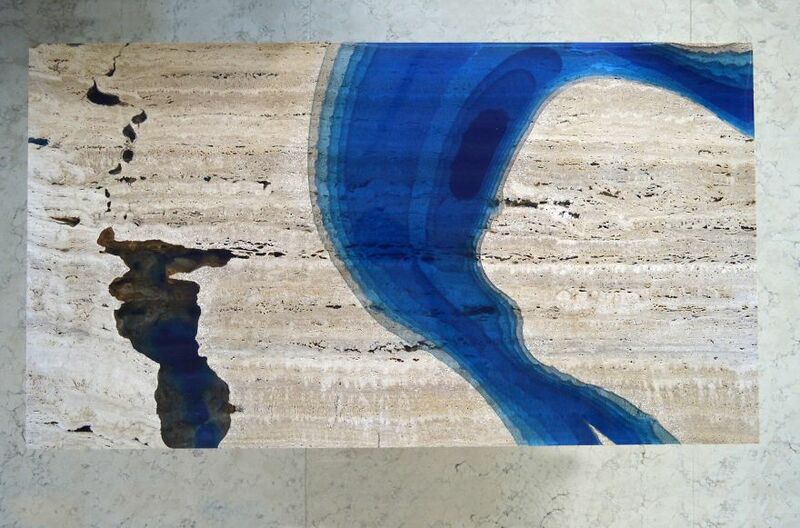 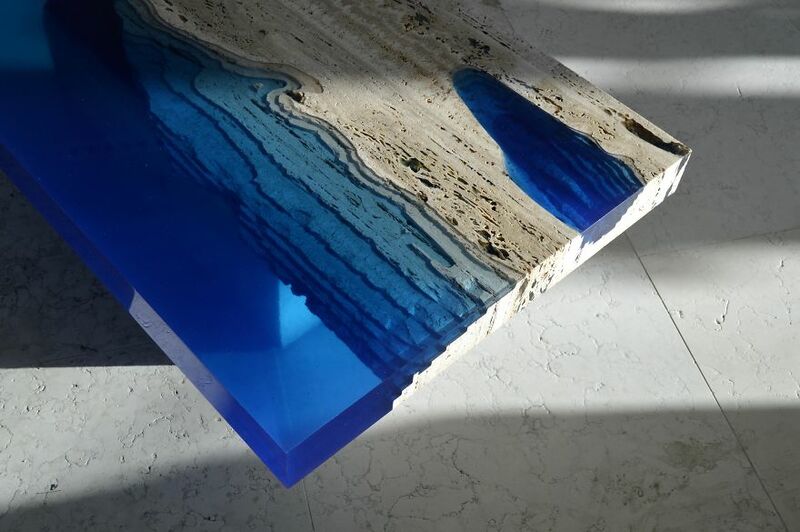 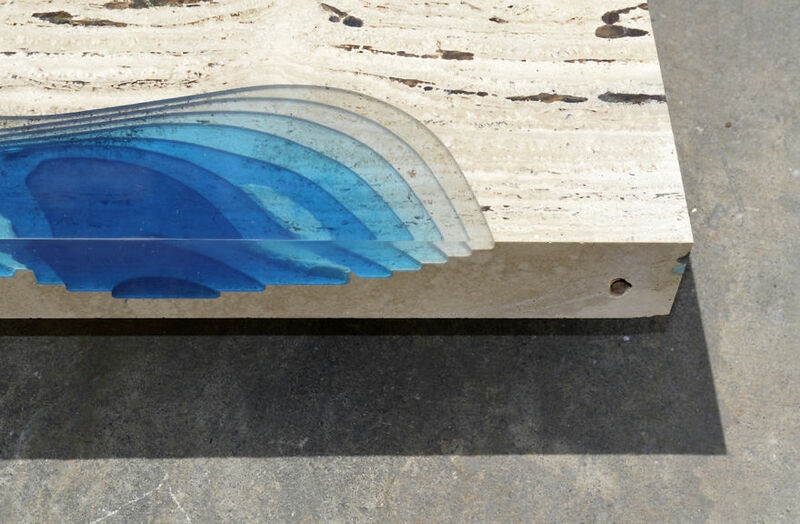 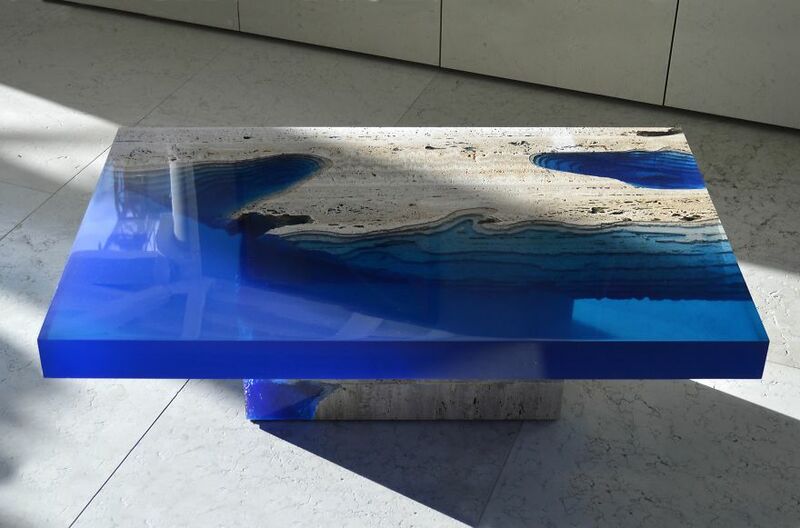 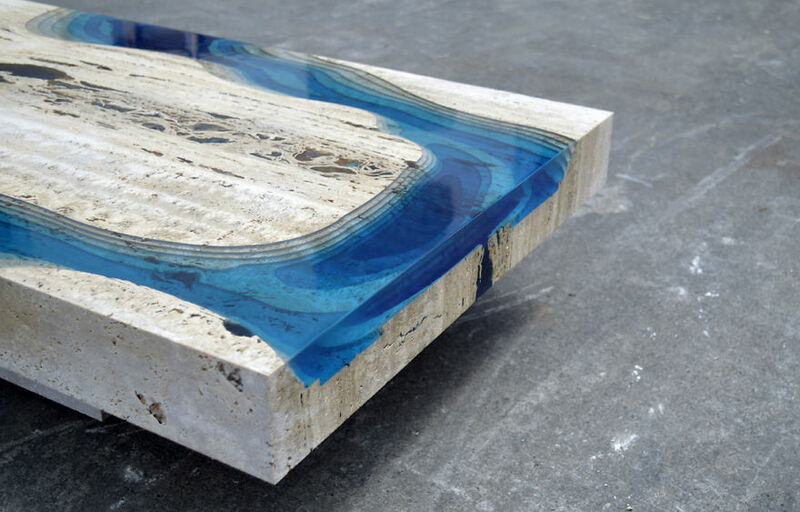 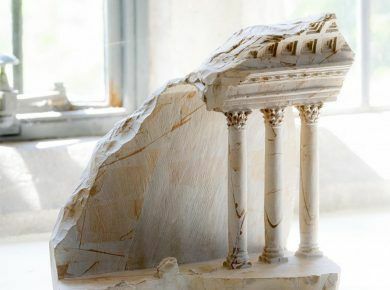 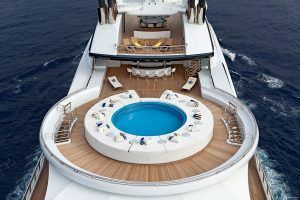 Each table is formed from a carved travertine base to which he adheres a special resin that forms volumes of water that appear to slice through each piece. 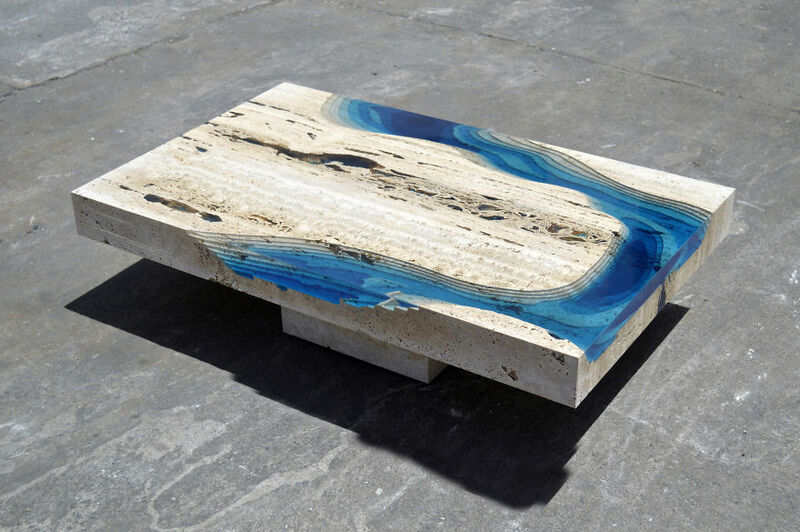 The tables are undoubtedly influenced by Chapelin’s immediate surroundings on the small Caribbean island of Saint Martin where his studio is based.